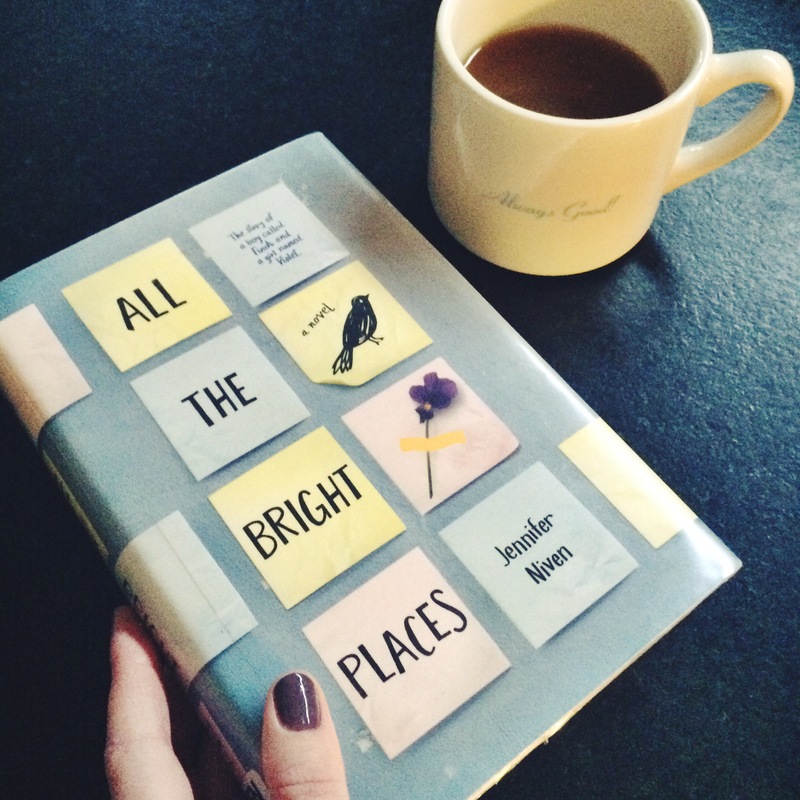 I give All The Bright Places by Jennifer Niven a big thumbs up. I went on a road trip for work last week and listened to this YA fictional novel and found it to be both touching and heartfelt. The story begins when two high school seniors, Violet and Finch, meet on the roof of the bell tower at their school, both contemplating what it would mean to jump off. Violet has recently lost her sister in a car crash and Finch has always struggled to find where he fits into the world and why any of it matters. On top of the bell tower they both feel lost. Through this story they save each other and their journey is really sweet. Violet learns how to live again and Finch learns to be comfortable as his wild and charming self. Both characters had been through so much and I was really interested to see how they each handled their grief. This book is really good and I recommend it! One fun fact about the audiobook; the male narrator sounded a lot like John Mulaney, the comedian, which was a nice added bonus. Great review – I loved this book. So sweet and beautiful. This book sounds sweet. I have been meaning to read it forever. I had read a few similarly themed books around the time it came out, so by the time I heard of it, I was looking for something a bit different. Do you think it does a good job of establishing itself from other books that are perhaps coming from a similar place? Hmm that’s a good question. I think that it definitely does a good job of standing apart from similar books because of the issues of mental illness and grief that it covers… But on the other hand it is a YA fiction novel and reads like one. I was actually reading Paper Towns by John Green at the same time as this one and liked this book a lot better! I love Paper Towns! I’m glad you’re enjoying it.